Super Time Force had been showing at PAX for years, so I knew the premise long before it came out: if you die, you can rewind and "co-op" through the segment up till your death to help succeed the next time. While that statement is patently true, it does very little to capture the many nuances of the game. I find that I'm the only person in my circle of friends really talking about STF so I figured, why break that trend by not writing a blog about it? I think my first impression was: "wow, this game is kinda hard." Well, I think I'm getting worse at video games over the years, but as I watched my guy barrel straight into the same bullet from the same enemy over and over again, I felt like I'd suddenly aged another ten years in gaming time. In stark contrast to most games, Super Time Force has very little "flow". Even when playing at your best, you are constantly rewinding and re-playing sections--by design--which gives it sort of a discordant feeling. I understand how this could turn off some people, but I found once I stopped viewing it through the lens of other Contra-style shooters and really embraced its unique mechanics and design, it got its hooks in me. Super Time Force does a thing that I love to see in games: it gives you just one central mechanic and lets you explore a bunch of ways to use it. This mechanic is, of course, the "Time-Out". A Time-Out occurs either when your character dies (which is friggen constantly, because touching any enemy or enemy bullet will kill you) or when you manually call for it by hitting a button. From this point you get to rewind as far as you'd like, even all the way back to the start of the level, select a new character to play with (including another copy of the same character), and start playing again, alongside whatever all your other clones were doing at that respective time. So what can you do with a Time-Out? Why does this uniquely characterize this game? Let's take a look at all of the different things it does, so you'll see why they give you a minimum of thirty of them per level: they expect you to use them a lot! To start with, Time-Outs give you extra lives. Whereas Mario falls off a cliff and has to start over, if you die in STF you take a Time-Out and choose when to start over. And where do you start over if you die or decide to Time-Out? The last checkpoint? There are no checkpoints... no, wait, there are all the checkpoints. Because you get to choose how far back to go, any time in the past is a checkpoint if you want it to be. Let's say you play through the first 20 seconds of a level really well--just nailed it (top-tier. ya did good), but miss some jumps in the next 10 seconds. Well, just rewind to 20 seconds in, and you've basically "saved" that early part of the run and don't have to replay it to perfection every time. Now you can focus on optimizing the next portion, and so on. Now let's say you want to use Aimy McKillin, the incredibly useful sniper, for the first section of a level, since her charge attack hits through walls. But then there's a miniboss, and you need the real power of Melanie Gibson to take it down quickly. No problem! Time-Outs also give character selection, so you can swap characters back and forth as much as you'd like through the level. The biggest component of the game is, of course, parallelization, that is, deliberately doing multiple playthroughs of a section for various benefits. Benefit #1 is stacking damage. If you want to kill a tough enemy quickly, the best way to do it is to play that section, from the point the enemy spawns until you've killed it, over and over again, just blasting it constantly. 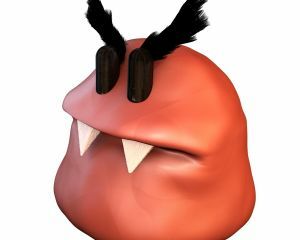 The characters' damage is additive, so with each Time-Out, the enemy will lose health more quickly. Benefit #2 is to divide and conquer. When trying to achieve a good time, it's important to move through the area as quickly as possible. Who can focus on pure, raw speed when also dodging or heck, even shooting? An idea: you could use Time-Outs to spawn clones whose only job is to eliminate certain enemies or obstacles as quickly as possible, so they're gone by the time your "main" character reaches them. There is no better example than the last non-boss level, which is set up for incredibly satisfying dividing and conquering on each floor. A third benefit is to do a little "tower defense", albeit with just characters rather than actual towers. Shieldy Blockerson is a fascinating, defensive-minded character. He can stand still and block basically everything, also dropping little shielded bubbles with his charge power. These bubbles are perfect for having other characters hide behind and take safe shots. Sometimes, when fighting a boss that shoots bullets across a certain part of the screen, I will park Shieldy there to protect that area all the way through the fight, then Time-Out and play through again, this time shooting safely from behind the bubble. Sometimes I'll place multiple Shieldies around the room to protect all angles of attack from a boss if it's especially mobile. I don't know why I would try to call this "tower defense". Who's that man Looking around? The core part of the game was pretty easy, and getting all the cheevos was pretty easy, but doing all the "Looker" runs was friggen tough. In most of the levels (non-boss levels, in particular), there's this guy waiting for you somewhere in the level. He's called the Looker, apparently because he likes to look at stuff (I don't get it). If you touch him before he disappears, you get a big ol' thumbs up. Nice job! If you do this on all the levels, you unlock him as an underwhelming character, not befitting the difficulty to get him. But to touch him in time requires you to optimize the heck out of your run. I'm going to use this section to give some tips and observations gleaned through unlocking the Looker. The first and easiest tip I can give is to unlock all the other characters first. Although I used only a few characters for most of the runs, inevitably other characters are perfectly suited to certain sections of certain levels, so you'll want them at your disposal. Moreover, everyone's playstyle is different, and I've seen others' successful Looker runs using completely different parties of characters than mine. For me, Aimy McKillin, the handy sniper, was my go-to tool. Specifically, her charge attack lets me one-shot most enemies far away before my next clone can even arrive at it. I'll use Aimy to clear the way, then a second instance to just run through as fast as possible, coming in just behind her parallel wake of destruction. My other main is Melanie Gibson, the shotgunner. I don't know if I'm imagining things, but her charge attack seems way more powerful than anything any other character can produce. 2-3 instances of Melanie are enough to blast through basically any miniboss in no time flat. At some point I noticed that Jeff Leppard's bazooka charge attack does not have any recoil. This is really useful because, unlike Melanie's or Aimy's charge attacks, which push them backwards a step, Jeff can use it without losing any speed. The downside is the rocket is quite slow, so it's a bit situational. Speaking of recoil (check out that sweet seg), there is at least one place in the game where you can use it heavily to your advantage. If you charge attack downwards while jumping, it can act like a rocket jump, giving your character a bit more height than usual. This allowed me to skip so much of a level that I got the Looker with almost nine seconds left, which is basically like a hundred years in Looker-time, and without even getting one of the pink dots, which is impossible in every other level. Pink dots... I think they're called glorbs? Or maybe those are the yellow dots. Anyway, the pink dots slow down time for your character... or do they give you hyper speed? Whatever, same thing. Getting the Looker, except for the one glitch I mention above, requires absolutely nailing the pink dots scattered through the level. It's imperative to capitalize on the hypermode by scurrying through as quickly as possible. Just like proceeding through the regular level, you will probably want to layer multiple Time-Outs to clear the way, stack damage, and so on when in hypermode, but Super Time Force doesn't award you this easily. If you Time-Out when you're hyper, you have to get it again on the next run if you want it. This means developing special techniques for layering multiple hypermode runs. What I found works best is to use Aimy and stand perfectly still, directly underneath the pink dot (if the location allows). I pause for a quarter of a second or so, then shoot it with her regular attack. The pause is absolutley crucial, because this gives you time to insert a character just before the later character gets the pink dot. You see, if a character gets a pink dot, it's gone from that time onwards. However, if you go back and time and get the dot before the later character, both will get the benefit. This mechanism of repeatedly spawning characters barely earlier than the previous one to repeatedly get the hypermode boost is basically necessary to clear the Looker challenges. It's a weird, neat trick, unique to this game, that it forces you to develop. It's interesting that I came up with this on my own, then found that others on the Internet had independently come to the same conclusion. There are a lot of things to like about Super Time Force, even if it doesn't necessarily feel or play like you'd imagine from its appearance. I'd go so far as to call it a puzzle-shooter, on top of which it sports amusing dialogue and visual gags done in a pretty sweet looking art style. Who knew this would be the game to make me rise to writing a blog? Didn't see that one coming!